On the day of the 5K run, we decided to keep practicing on Saturdays so that we keep the healthy habit as part of our routine. Due to some previous engagements we were not available for the practice, but we still are holding on to our motto of fitness and hoping to resume our practice. I remember my first few run practices couple of years ago. I was totally beaten after the runs. A refreshing cold healthy smoothie like Avocado Apple Smoothie or a cup of cottage cheese with fresh fruits was the energy resources to compensate. I always wished to have a homemade energy bar to enjoy after the workout instead of the excessively sweetened store bought bars. Most of my experiments ended up with crumbled granola clusters with no success of a well shaped bar. As always Necessity is the mother of invention. This time I was trying to make use of the overripe banana in a different way than my usual banana loaf. My trial for a healthy granola bar finally showed the signs of success. 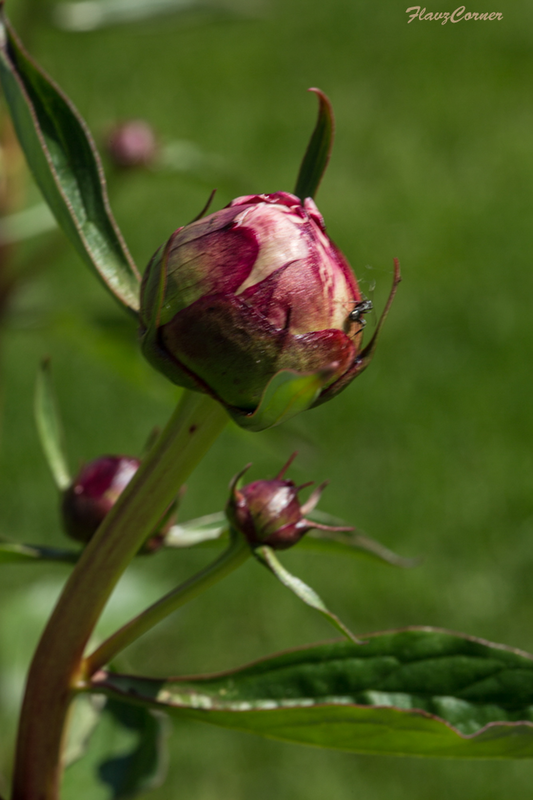 Here are some backyard pictures I clicked when the sun was shining so bright. 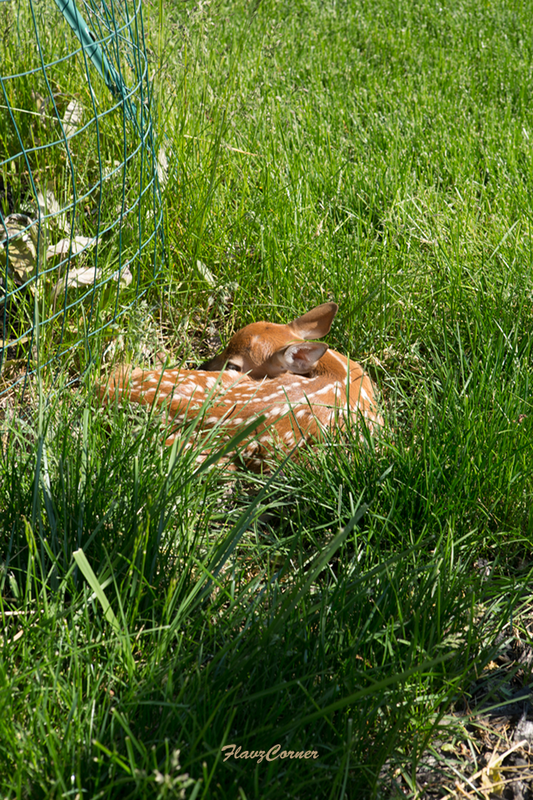 A baby deer/fawn was found in my backyard. It was waiting in the sun till the evening for the mom to come. I even tried to give some water and it got scared and ran away. After few minutes it came back to the same spot where its Mom left him/her. The fawn waiting under the sun. 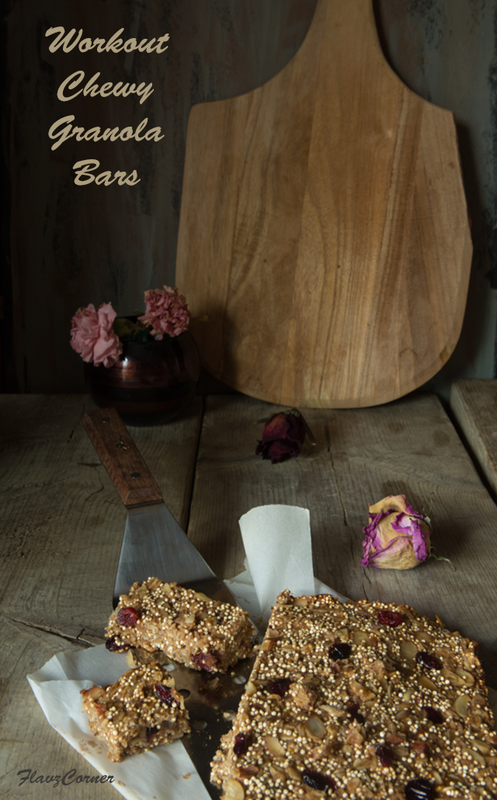 The crunchy bites from quinoa & nuts and the mild sweetness from banana and honey compliment the tanginess of the cranberries in this bar. 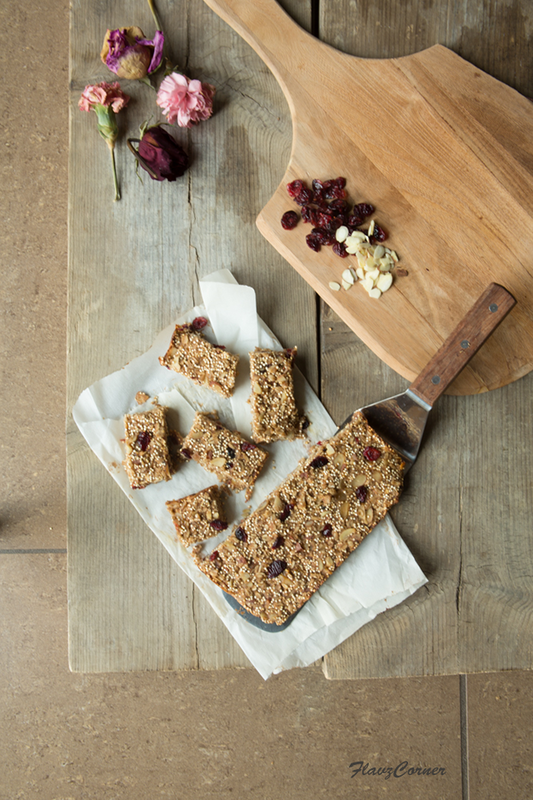 If you are looking for a mildly sweet healthy chew-able granola bar, then this is the recipe to follow. You can be as creative as your heart desires. Any kind of nut butter, nuts and dried fruits can be substituted in this recipe. It’s a versatile basic recipe for a chewy granola bar. 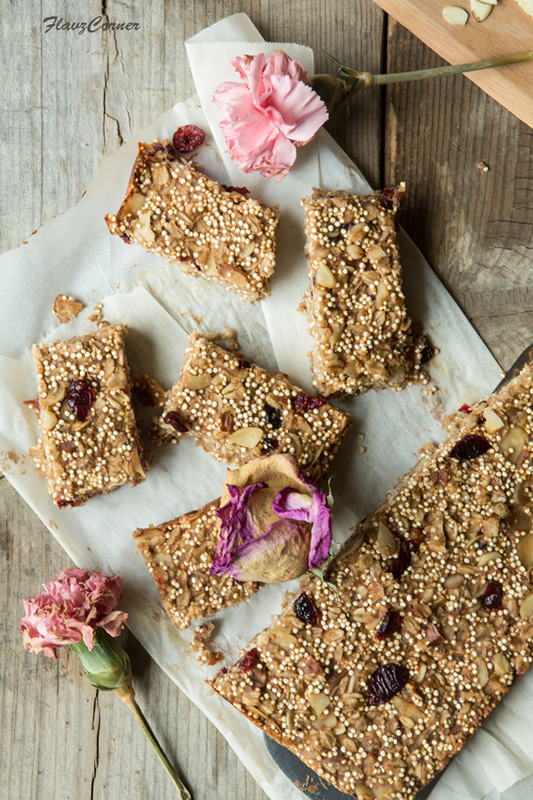 Hope you will try this healthy granola bars. Rinse the quinoa 2 - 3 times in a fine sieve if it is not pre-washed. Spread it over a clean paper towel to dry for 15 minutes. Take a non-stick pan and dry roast the quinoa on very low flame till its light golden brown. It will start to pop at this point. Turn off the burner. Preheat oven to 350 degrees F. Line an 8 x 8 inch baking pan with parchment paper. Warm the almond butter and honey in a microwave safe bowl for 30 seconds till the almond butter is slightly loose. Take a mixing bowl and combine mashed banana, almond butter, honey, salt, cinnamon and vanilla extract. Fold in the oats, nuts and cranberries into the mixture. Mix well and pour into the prepared baking pan and level with a spatula. Bake for 25 to 30 minutes till the edges turns golden brown. Let it cool for 30 minutes to 1 hr. Cut into bars of desired size and enjoy. This is a basic recipe and you can adjust the sweetness in the granola bar by increasing the amount of honey. You can substitute the nuts and dried cranberries with nuts and dried fruits of your choice. The almond butter used in this recipe can be substituted with peanut butter or cashew butter. These bars can stay fresh for couple of days at room temperature. 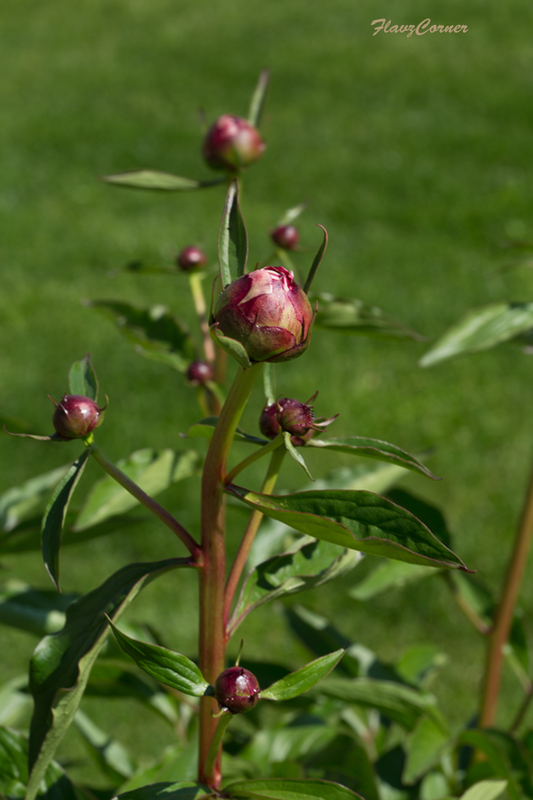 If planning to keep longer, store it in a tight container and refrigerate. They can stay fresh for a week. These workout bars are delicious and packed with nutrients! Wow u have got perfect bars... loving the fawn and flora pics too Shibi summer is finally here. Cute fawn! And these bars look SO good. And good for you, too. Super recipe -- thanks.